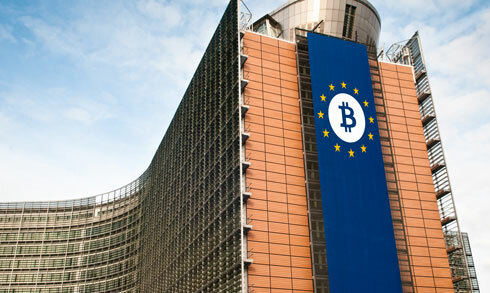 The European Commission, the executive arm of the European Union, has announced plans that would see the creation of a proof-of-concept blockchain model for dealing with regulation. The project, detailed in a draft communication briefing from the Commission to the European Central Bank and the European Parliament, aims to explore the concept of a blockchain for regulation further, while helping raise awareness of the technology across member states. A public consultation is to be launched as the first step in the project, which it is hoped could pave the way for a blockchain-based future for regulation throughout the region, as well as exploring other new financial technologies. According to the Commission’s paper, the project could help bolster the understanding and development of blockchain solutions across member state governments and EU agencies. The latest project is only the latest move from the European Union to embrace blockchain technology. In February, the Commission revealed it was already progressing several blockchain trials for public administration functions, designed to improve efficiency and transparency while reducing cost in administering public sector policy objectives. It also comes at a time where the Commission appears to be alert to the need for further regulation, particularly as far as digital currencies are concerned. Cash transaction limits for digital currencies, as well as more active oversight of business use cases for the blockchain, are among some of the proposals already working their way through the commission. Further support for developing the technology will be welcomed by analysts, and reflects a growing trend amongst governments and public sector authorities globally towards embracing distributed ledger technology. With potential applications and use cases in a number of sectors and public scenarios, from finance to agriculture and shipping, development of technologies on the blockchain is widely considered to hold the key to benefits including significant cost savings, improved recording, tracking and compliance, and greater efficiency in processing transactional data.